Home › depression › How do I control mood swings and get out of depression? How do I control mood swings and get out of depression? Mood swings are ok. We are not happy all the time through out the day. But having intense swings is a challenge. Depressive thinking is challenge. But every challenge helps us get better and stronger, much happier later. Just keep a track of all the emotions you go through the day, and at the end of the day have a diary to record your swings. Never make a big deal of any challenge or problems, no matter how big or small they are, as they get bigger in our mind and reduce our capacity to overcome it. How long and often you swing in one thinking-emoting? 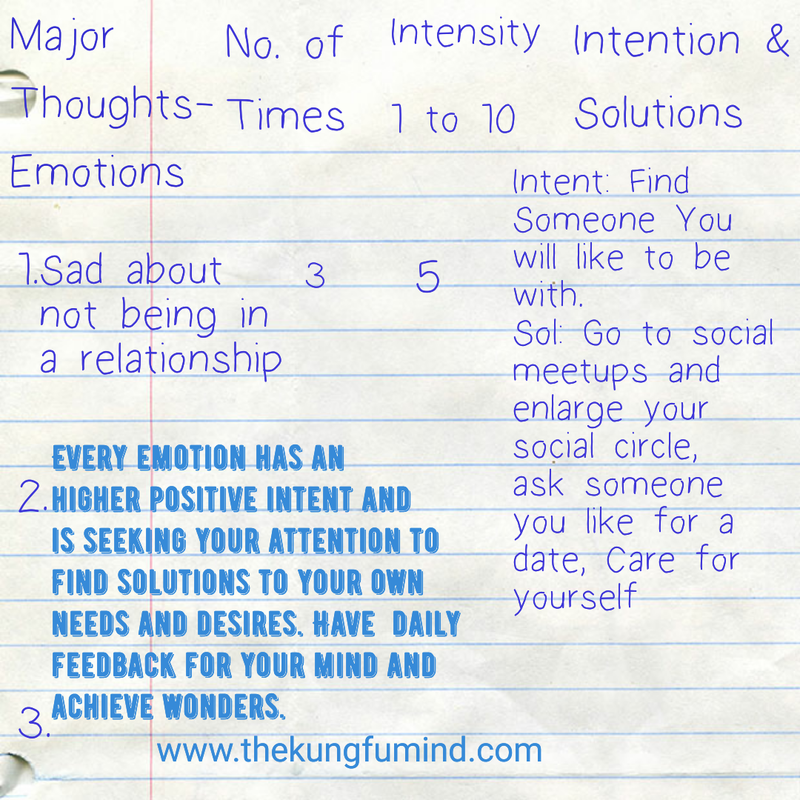 Note down 3–5 Major emotions of your day. Just note down to give your unconscious and conscious mind a feedback of what is happening. Because if you are aware, just like your body has a feedback mechanism it tells you when you are hungry, when you are feeling cold, warm, when you need to go to loo,. Your mind has a feedback mechanism which you need to feed of what’s working, and what’s not, what you want and what you want do not want anymore. The mind feedback is a task of every healthy, happy, successful human being. Every night till the time you master your own thinking and emoting to the way you want, have a feedback and also ask your unconscious just before sleep if how you want things to be, how you want your day to be like, your life like, because the part of you that’s more resourceful will and can help you better, if you just believe and guide your unconscious self. Trust your self. You have everything already inside to solve all your problems, just keeping working on solutions. ‹ What are some ways to relieve mental stress?